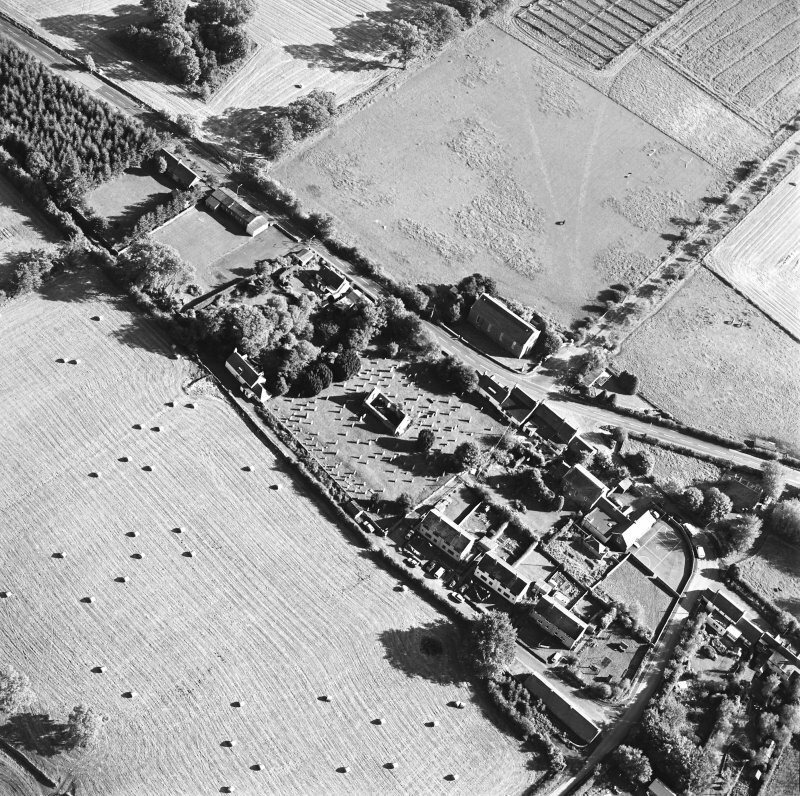 Oblique aerial view centred on the remains of the church and burial ground with old church and hotel adjacent, taken from the NW. 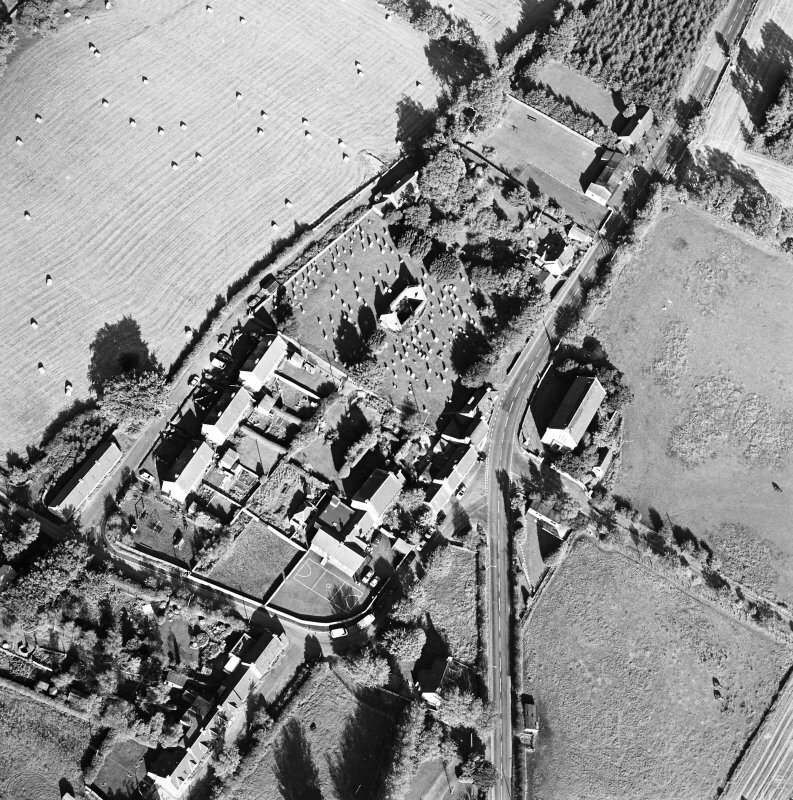 Oblique aerial view centred on the remains of the church and burial ground with old church and hotel adjacent, taken from the ESE. 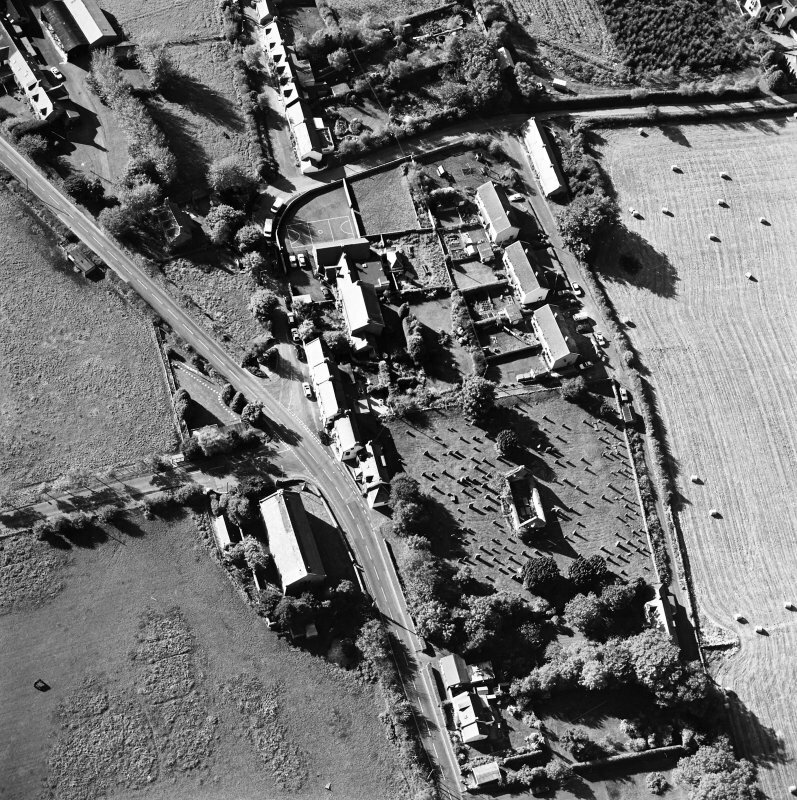 Oblique aerial view centred on the remains of the church and burial ground with old church and hotel adjacent, taken from the E.
Oblique aerial view centred on the remains of the church and burial ground with old church and hotel adjacent, taken from the SW.
Oblique aerial view centred on the remains of the church and burial ground with old church and hotel adjacent, taken from the W.
Oblique aerial view centred on the remains of the church and burial ground with old church and hotel adjacent, taken from the SE. Westruther Church: This church was built in 1649 and altered in 1752. It was abandoned in 1840 (when the present church was built at NT 63434 49996). 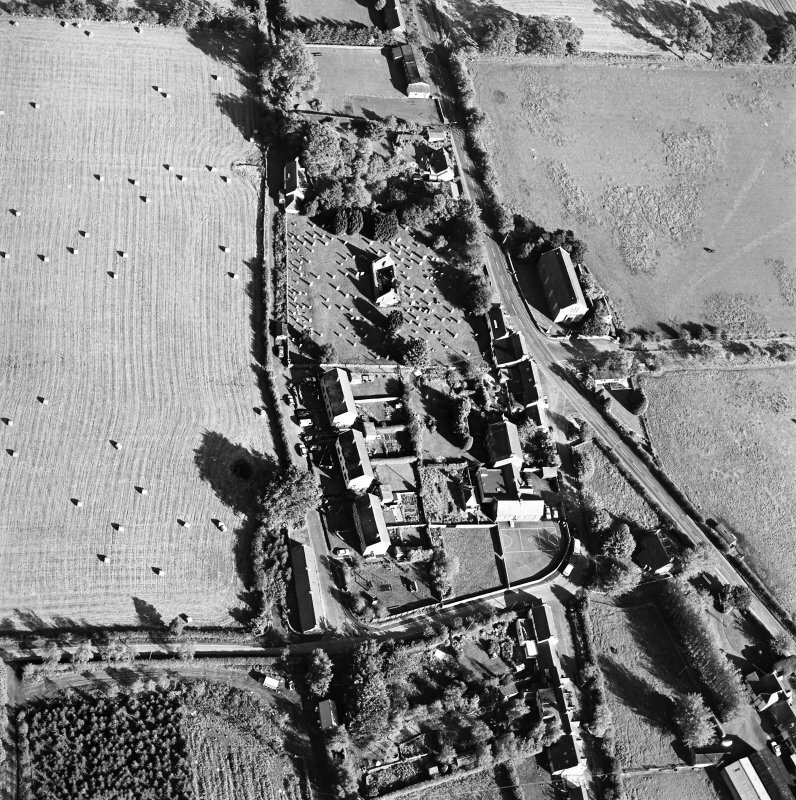 RCAHMS 1980, visited 1979; J Robson 1896; RCAHMS 1915; G Hay 1957. This is a plain rectangular building with a belfry at the W end. The walls are harled except at the W, where the rubble masonry is exposed. The slate roof is intact. 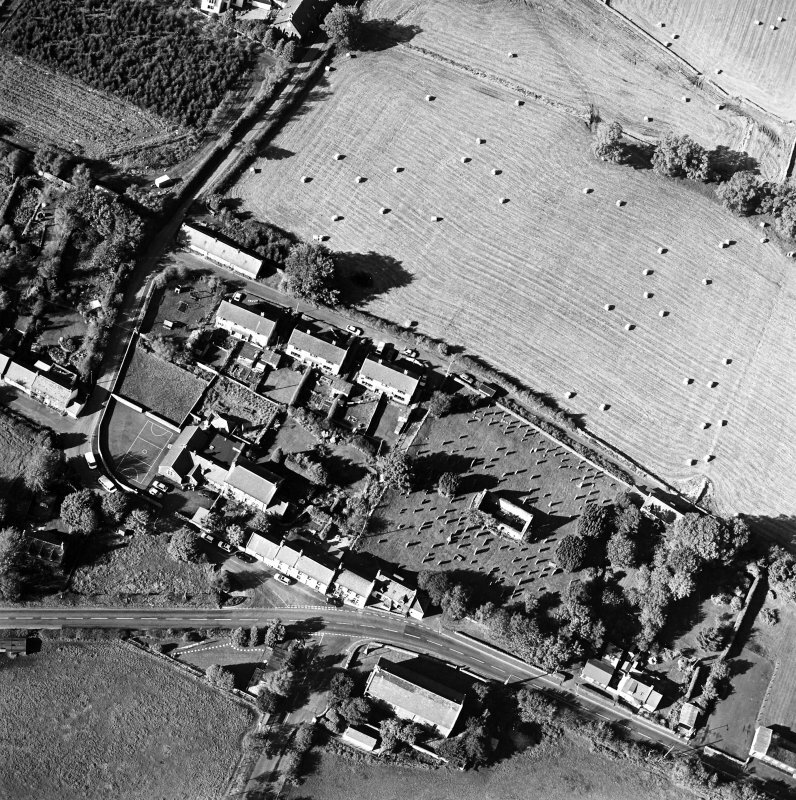 Visited by OS (JFC) 25 January 1955. This church is as described. 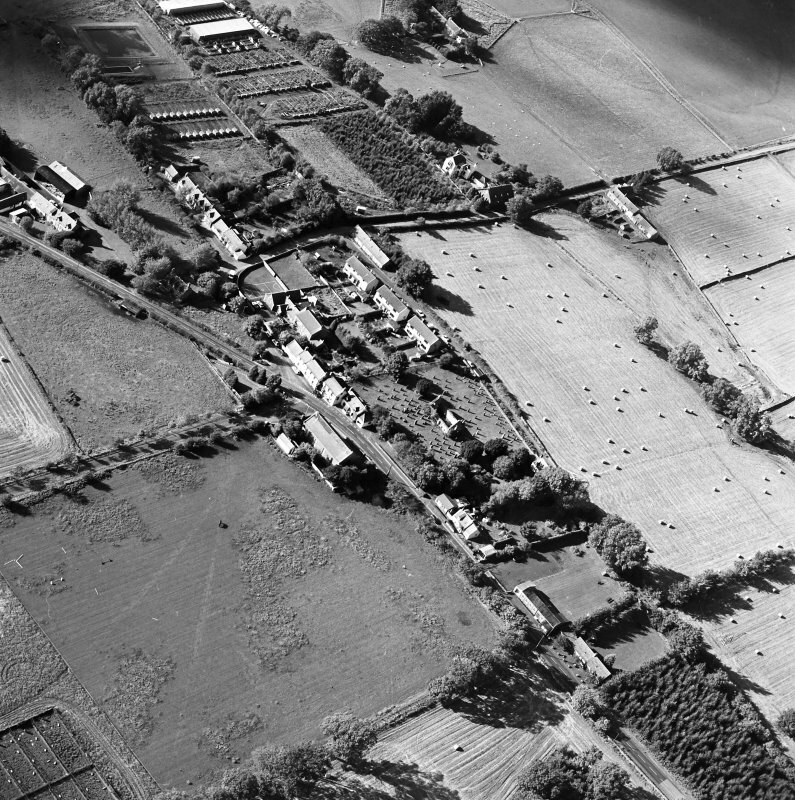 Visited by OS (EGC) 21 November 1963.